The latest crop monitoring technology developed in Israel could soon be available in South Africa. Wilma den Hartigh spoke to Daniel Koppel of Prospera about its applications. 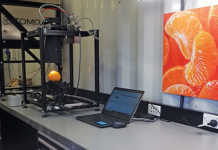 An Israeli technology company, Prospera, has developed computer vision technology that analyses leaves to detect microscopic symptoms of pests and diseases. Farmers can use this information to determine if plants are underperforming or suffering from nutrient deficiencies. 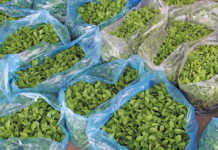 Daniel Koppel, CEO and co-founder of Prospera, told Farmer’s Weekly that computer vision technology can increase yields by about 30%, and forecast weekly and seasonal crop yields with 92% accuracy. “This continuous monitoring device can show farmers everything that is happening in and around their crops in real-time,” Koppel says. Farmers can access the results on their PCs, smartphones or tablets. They also receive alerts if any problems such as water stress or disease outbreak are detected. 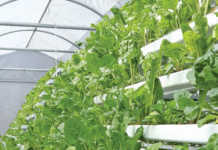 Data can be collected from a wide range of crops, but currently the main application is in medium to large greenhouse facilities ranging from 20ha to 1 700ha in size. However, farmers who produce field crops have recently also started using computer vision technology. According to Koppel, crops such as maize, wheat and sunflower can also benefit from the technology, which allows farmers to farm with greater precision. Vision technology makes use of a network of cameras and climate sensors that continuously analyse leaves to capture field data. 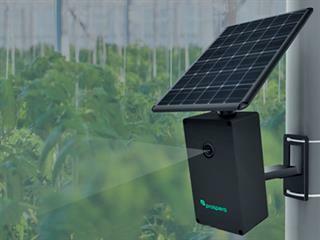 The device is mounted on a pole in the greenhouse or the orchard and is powered by a solar panel. Once the data is captured, it is sent to a remote storage cloud service using 3G or Wi-Fi, he explains. Computer vision technology analyses the light spectrum of leaves to detect problems with the crop. “The technology gives farmers an extra set of eyes to constantly monitor what is happening in their greenhouses and fields, from individual leaves to upcoming weather patterns that can affect farms in a few days’ time,” he says. The device also allows farmers to connect to soil sensors. The majority of farmers still make use of manual methods to collect and assess crop data, he says. This involves workers walking in the fields, taking notes and making visual observations about plant conditions. This information is analysed by an agronomist before corrective action is taken. Although this manual process works, it increases the risk of human error, he says. Crop losses can occur between the time data is collected, analysed and a decision made on how to remedy the problem. “Farmers who are accustomed to making decisions based on instinct are now able to look at data-based solutions to improve every aspect of their business,” Koppel says. Given the high labour costs in the agricultural sector, it is also costly for farmers to employ a large number of scouts. As the tools for monitoring farming practices have not changed significantly for centuries, it can impact the profitability of individual farms and the sector as a whole. “Technology is needed to fully optimise a farm,” he says. Prospera’s computer vision technology is not available in South Africa yet, but Koppel hopes to expand the business into the region soon. Email Anna Dalton at [email protected].